A wardrobe of epic proportions large enough to accomodate even the largest collection of clothes. 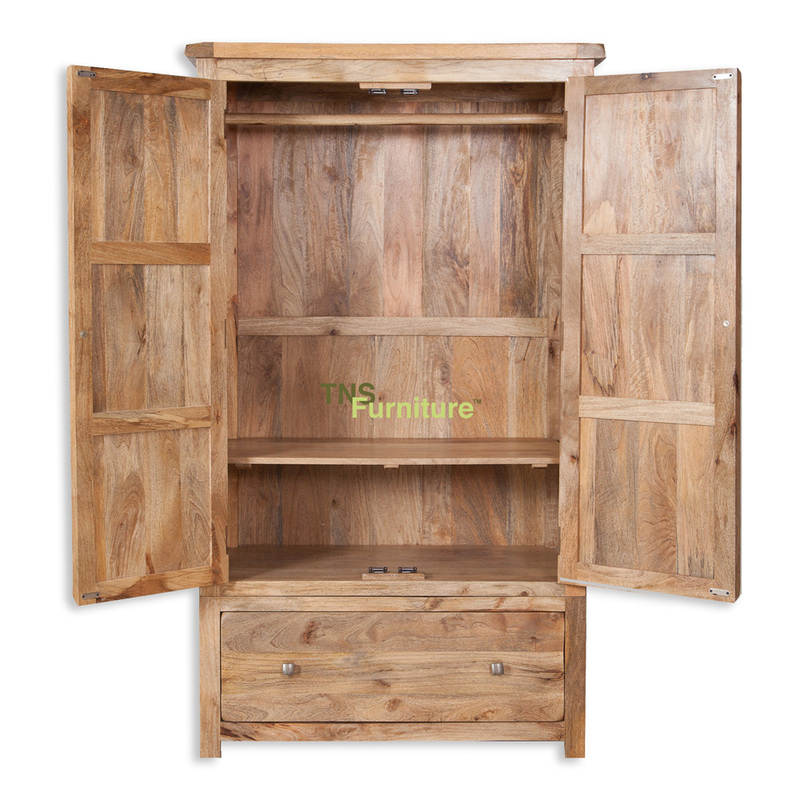 In Mango wood complete with internal wooden haging rail and shelf in the top section and a huge drawer in the bottom section. 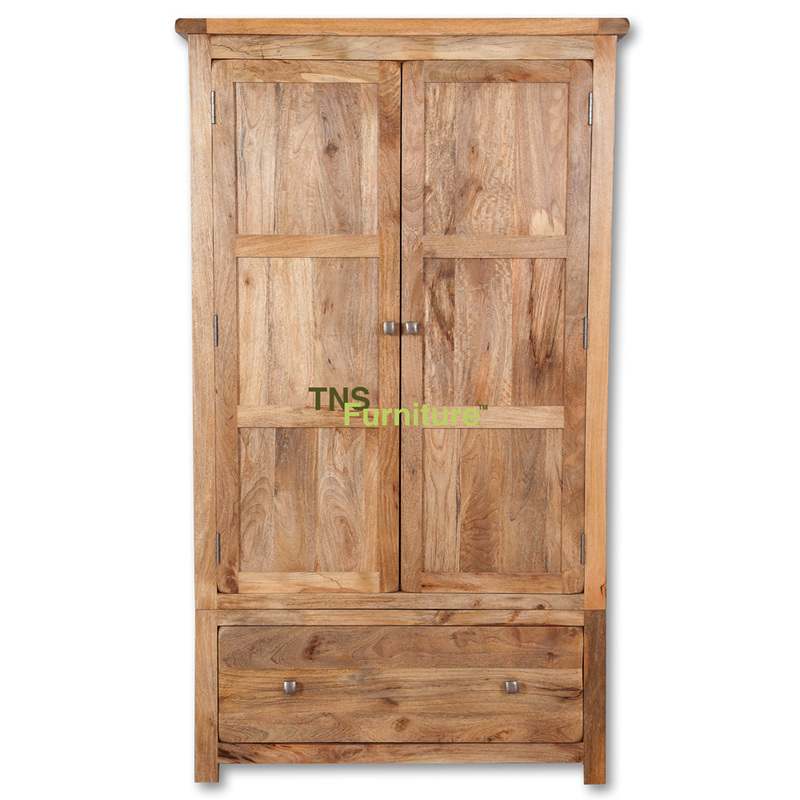 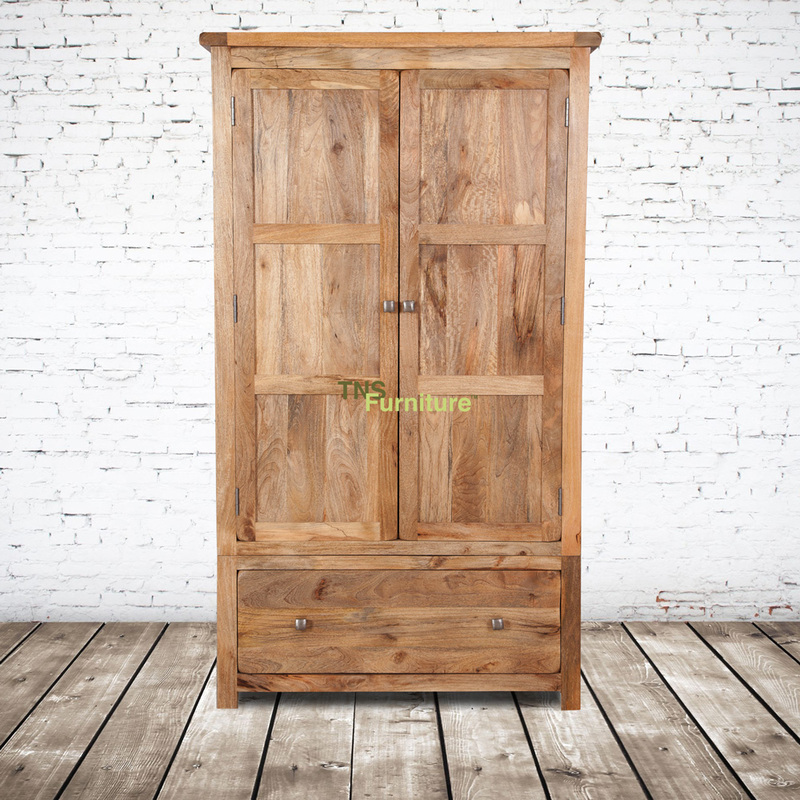 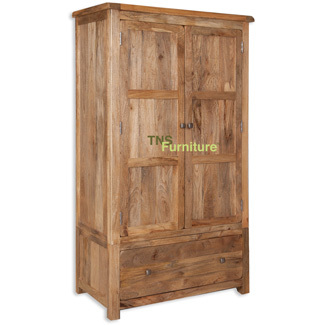 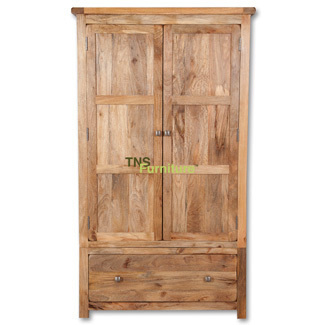 The wardrobe splits into two pieces for ease of moving.